The brewing industry, burdened by centuries of tradition, is a slow-moving beast. Mind you, it’s a rare brand owner these days that believes appealing to tradition will motivate consumers to part with their hard-earned cash. Brewers don’t sell heritage any more; now, it’s refreshment, taste and, providing your local advertising standards enforcers are in a generous mood, lifestyle. It’s the production of beer, the actual making of the stuff, that has been dragging its heels behind marketing. But here’s something you need to be aware of – the pace of change has quickened considerably over the last two years. Brewing with unmalted barley or, positively rephrased, 100% barley. Danish life science concern Novozymes has launched Ondea Pro, an enzyme that makes it possible to brew highly credible beer without the necessity of having to malt barley. This is being brought to market on environmental credentials: a life cycle analysis of Clim8, a beer brewed with 100% barley by Harboes in Denmark, suggests that 8gm of CO2 emissions is saved per 33cl serving. The staling of beer, a long-standing difficulty, may have been beaten thanks to a natural breeding programme that has eliminated the root cause of the problem, lipoxygenase. The presence of this enzyme leads to the formation of the trans-2-nonenal compound, resulting in the cardboard-like off-flavour indicative of the staling of beer. 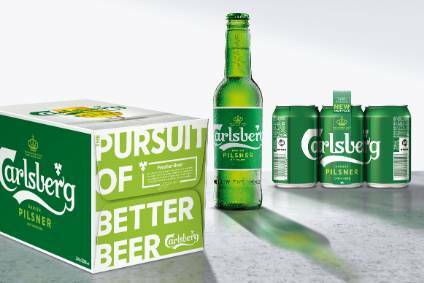 This breeding programme, a joint effort of Carlsberg and Heineken, should result in fresher beer sold in markets where sunlight and heat have exacted a toll. 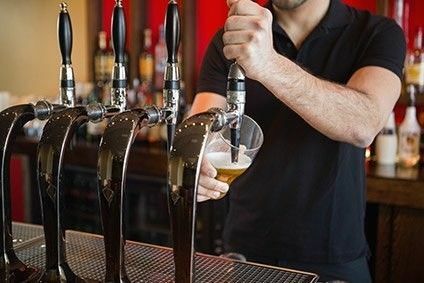 That most traditional of British beer styles, cask ale, is facing a possible step-change in technology that could considerably improve its commercial fortunes. British national brewer Marston’s has invented a way of binding yeast together in little gel-balls, the weight of which allows the yeast to drop immediately. Coming to market as Fastcask, this patented system offers obvious benefits in cellaring and staff training, and should encourage more pubs to stock cask ales. Brewers are increasingly experimenting with the ageing of beer in wooden, spirit-infused casks, creating something in taste akin to spirits than the fizzy pilsners that the world at large is most familiar. Of the 90 competitions at this year’s World Beer Cup, wood- and barrel-aged strong beers attracted the most entrants. 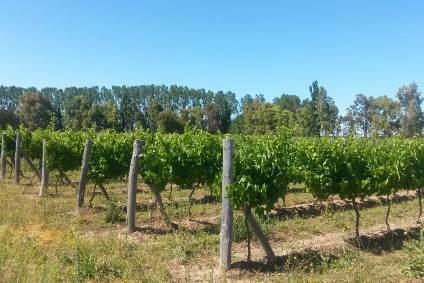 A similar exploration of what wood-aging can do for beer flavour is underway in the UK; its presence has also been noted at this year’s Australian International Brewing Awards. Mind that, the caveat is that these are all recent changes. The slow burn in terms of commercialising alternatives to malted barley, hops, yeast and water – our 16th century German Purity Law understanding of the building blocks of beer – has been underway with sorghum in Nigeria, and in the last decade in Japan, where taxes on malted barley have led brewers to create low-malt happoshu alternatives, normally with less than 25% malted barley. Latterly ‘new genre’ beers, which rely on corn, soybean, pea protein, and other non-barley alternatives for their fermentable material, have been driving beer sales. Does malted barley have to be present, and if so what minimum percentage of the grist should it entail? With bitterness levels lower for many well-known brands, do hops need be part of the equation, and in what forms can they be added? Are there production methods, such as cycles of freezing beer to obtain spirit-like strengths, that the products which are derived be considered as beer? Is barrel-aging of beer creating a fusion product with spirits? This last question, by the way, has piqued the interest of taxation offices in some markets. The best guess is that our Reinheitsgebot understanding of what constitutes beer will remain intact; its existence has always been used by brand owners to assure consumers of the quality of their products and will do so now more than ever. But tweaks may well be necessary. The existing modern German law as to what constitutes beer specifies the required use of ‘malted’ barley, so there will be an issue for enzyme suppliers who proposed 100% barley alternatives. What is certain is that given the changes to date, don’t be surprised if more innovations come to market in the near future.